BIOL Menu Show search box. The Department of Biological Sciences at CSU, Chico is committed to becoming Northern California’s premier facility for the education of students, the creation of insightful researchers, skilled professionals, and knowledgeable citizens who will have the capacity to meet biological challenges of the future and will continue to contribute towards our understanding of life. To prepare biology majors for the next step in their careers; to educate and train the next generation of biological scientists; to provide all students at CSU, Chico with an opportunity to learn how science is done and to learn about important, significant, and relevant biological knowledge needed by citizens; to contribute to the expansion of our knowledge about biology; and, to serve as a resource of biological expertise for the campus and surrounding community. Congratulations to our Chico State Biology Graduate and Undergrad Students on their amazing achievements! FISHBIO and Aquatic Ecology - Snorkel School! Check out an exciting collaboration between environmental consulting firm FISHBIO, and our Chico State Aquatic Ecology class taught by Dr. Mandy Banet. 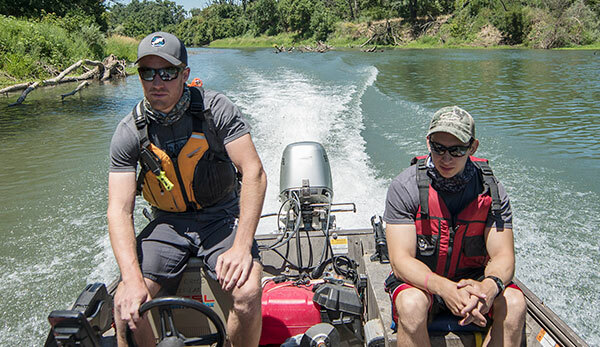 Funded by a five-year, $16.2 million grant by the US Bureau of Reclamation, Chico State has joined more than a half dozen local and statewide agencies with one collaborative goal: Save the Chinook salmon.